My husband came into the house this week with 20 lbs. of rhubarb from the yard. We’ve shared some with family and friends, baked a few desserts, and made some jam. This recipe for strawberry rhubarb jam is made without pectin. 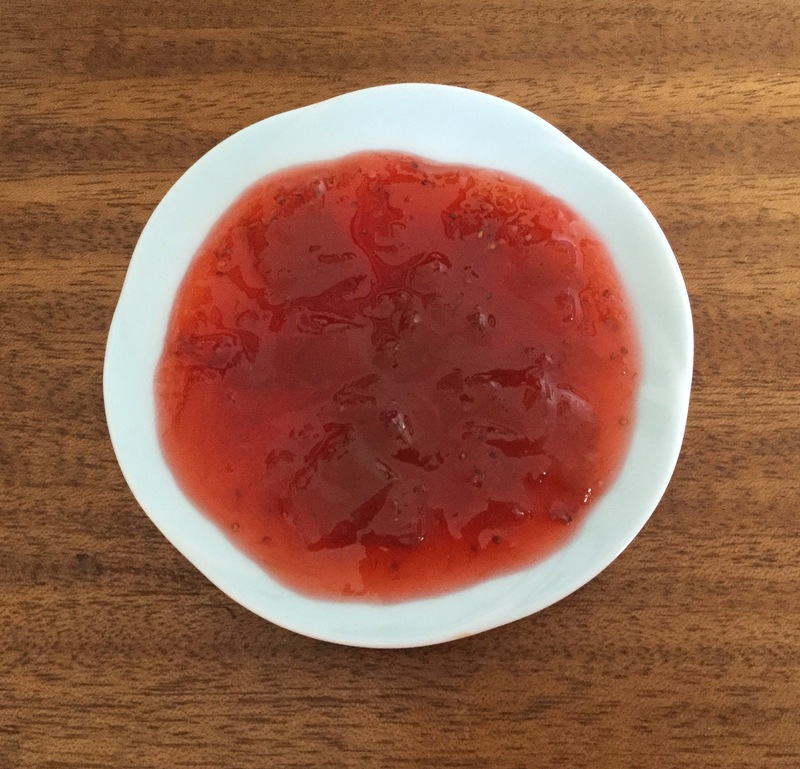 I like to cook the jam until it has thickened from its watery state but is still rather loose. Wash and sterilize 6-half pint jars. Fill a water bath canner with water and bring to a boil. Boil lids and rims in a saucepan full of water. In a 6-quart stockpot combine fruit, sugar, and lemon juice. Stir well and bring to a boil on medium heat, stirring constantly. Continue cooking for 10-15 minutes or until the jam has thickened and is no longer watery but still has a loose consistency. Fill each of the 6 sterilized jars with jam, leaving half an inch at the top. Wipe rims with a moist paper towel. Screw on lids. Water bath for 15 minutes at high altitude, 10 minutes at sea level. Makes 6 half-pint jars.